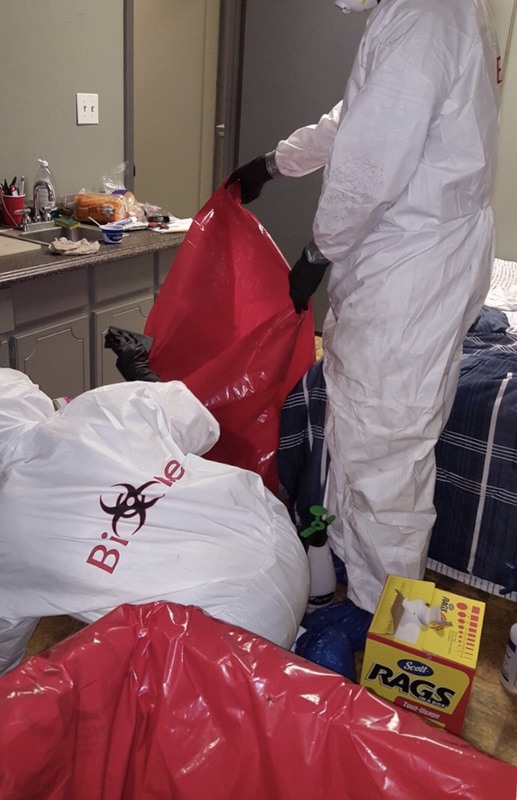 On the morning of 9 March, 2018, Bio-One Savannah was called regarding a biohazard situation in need of remediation. Bio-One Savannah was told only that it was a suicide and that remediation needed to happen immediately, as the scene was in a rental home and the family wanted to retrieve their loved one’s belongings as soon as possible. Bio-One Savannah had a team of technicians’s on site within 90 minutes of receiving the call, only to find out that the departed was a veteran who came from a family of veterans and law enforcement. As a veteran owned and operated franchise, this call struck home for us at Bio-One Savannah very deeply. Our technicians approached the family outside of the home and advised them not to enter until we had completed our work. The family departed the scene to meet up with other loved ones while Bio-One Savannah worked, knowing that we would call them when we were finished. In close contact with the property owner to ensure that he was aware of everything we were doing, Bio-One Savannah’s team suited up in full PPE and utilized our multi-step proprietary chemical treatment process to treat all surfaces that had been contacted by any kind of potential biohazard. In just under two hours, Bio-One Savannah made it impossible to discern that there had been a firearm death in that home and alerted the family that they could then safely enter to begin collecting their loved one’s belongings. Bio-One Savannah took with us all signs of biohazard or contaminated objects that could not be safely sanitized, ensuring that we discretely placed all red biohazard bags inside of rolling trash cans as we transported them to the truck, so that no-one in the family ever saw anything that could even remotely indicate what we had just saved them from having to see. Because the departed was a veteran and he had several family members in law enforcement, Bio-One Savannah’s technicians voluntarily put in our time on scene instead of charging the family for it, significantly reducing the cost of our services. There is nothing that can bring back their family member or properly describe how deeply we appreciate and support our veterans and law enforcement, but hopefully that small gesture can help to make that very trying time a little less stressful for them. Bio-One Savannah is currently attempting to locate programs through the local Veterans Administration that offer grief counseling to the families of fallen veterans so that we may offer those direct contacts to in the future.